It's hard to believe that it is already three years since the Creta was launched. The compact crossover has done very well since, thanks to the booming SUV segment. 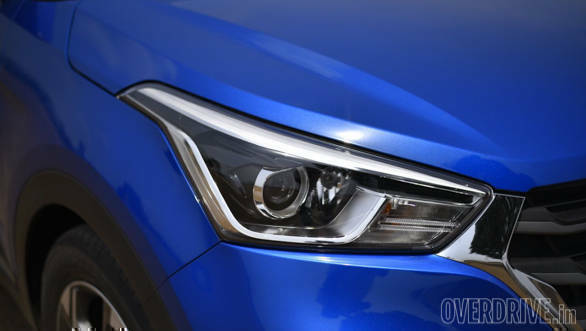 But, there is also plenty of competition for the Creta now - not just from within the segment, but also from segments a notch lower and higher. 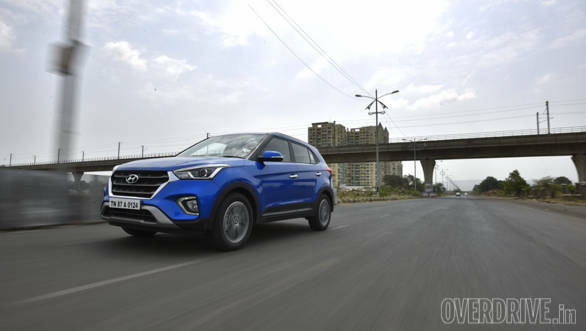 It was therefore imperative for Hyundai to bring out a midlife makeover for the Creta to keep the interest levels high. Let us begin with the exterior changes - the most prominent are the new daytime running lights, which now find their place around the foglamps in the bumper and their tallish design imparts a more elongated appearance to the face. Also contributing to that effect is the new cascading grille. 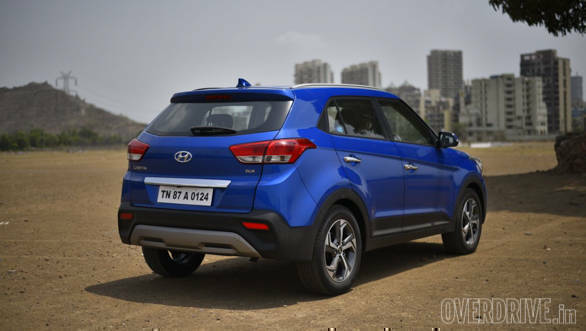 It's a new signature trait for Hyundai, but looks the best on the Creta, this side of twenty lakh rupees. The Creta now gets a bit of an SUV character in its design, thanks to beefier skid plates at the front and the rear. The tailgate also features new taillights now, but sadly there is no LED treatment on them. Hyundai's also thrown in a roof-mounted shark fin antenna. Look at the side profile and you will notice a new design for the diamond cut alloy wheels and they look quite sporty. 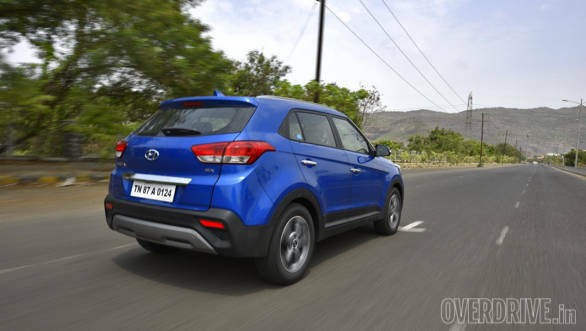 The Creta also gets two new exterior metallic colour options - a blue and an orange. You can have matching orange accents inside the cabin, should you choose the 'Tangerine pack'. 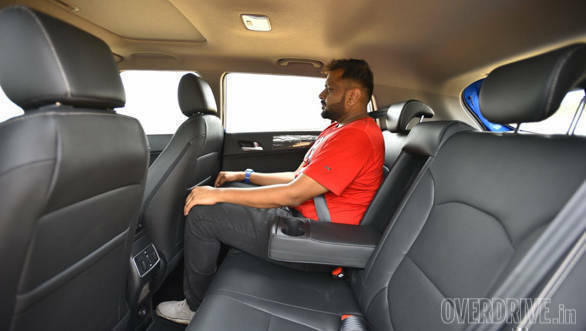 By default, the cabin uses the same beige and black combination that we are used to seeing with most Hyundai cars, including the outgoing Creta. 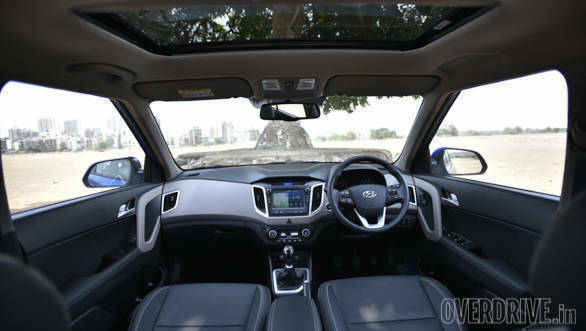 Giving in to market demand, Hyundai has added a sunroof over the Creta's front row of seats. To its credit, it adds an airier feel when open, to the otherwise dark cabin of the Creta. Hyundai has updated its infotainment system with an IPS display that has lesser glare, and a new version of the operating system which gives it better stability. The satellite navigation can also read and alert you about speed limits now by way of prominent chimes played via the (unchanged) Arkamy's audio system. 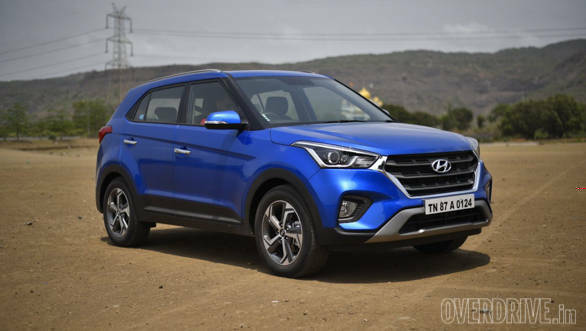 Hyundai now also gives you a fitness tracker with the Creta that works like a proximity key fob - just in case you don't want to carry around the bulky key during your fitness routines. The driver's seat now features six-way electrical adjustment. Space for the passengers, their knick-knacks and the cargo, remains unchanged. Fit and finish was never a complaint in the Creta and the updated model continues to be one of the best in class in terms of overall build quality. The sheer number of Hyundai Cretas on the road has made the design look dated within three years of launch. However, the 2018 update breaths fresh air into the design and makes the car look more sophisticated and premium. To that effect, I would have appreciated better sound deadening on the diesel variants. The oiler, though one of the most refined in class, still fills the cabin with a loud gravely note under 2,000rpm - which is a rev-range you will spend most of your time while driving in the city. As the revs rise, the engine smoothens out though. Speaking of engines, the Creta continues to be offered with a choice of an entry-spec 1.4-litre (90PS/220Nm) diesel or the range-topping and punchy 1.6-litre petrol (123PS/150Nm) and diesel (128PS/260Nm) options. The 1.6-litres engines can be specified with the six-speed automatic transmission as well and we believe that their slick nature and convenience will continue to make them the more popular choice from the lineup. The springy nature of the clutch and the notchy shifts remain unchanged on the manual variants of both, the petrol and the diesel. The 1.6 petrol has decent low-end pull for city use and a meaty mid range. Beyond 5,000rpm though, the power tapers off. The Creta cruises at 100kmph at 2,500rpm, which is quite relaxed for a petrol car of this size. 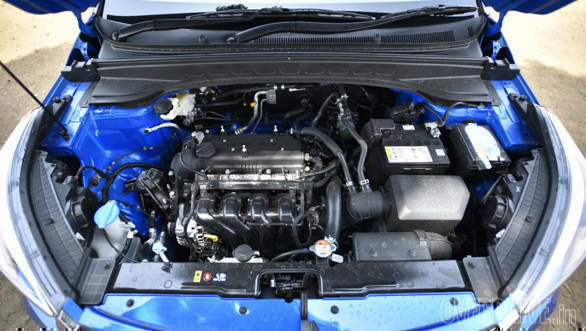 The 1.6 diesel too has similar characteristics and therefore, suffers from a weak top end. But it's meaty midrange torque needs a mere 2,100rpm to cruise at 100kmph and overtakes even at high speeds don't necessarily need a downshift. 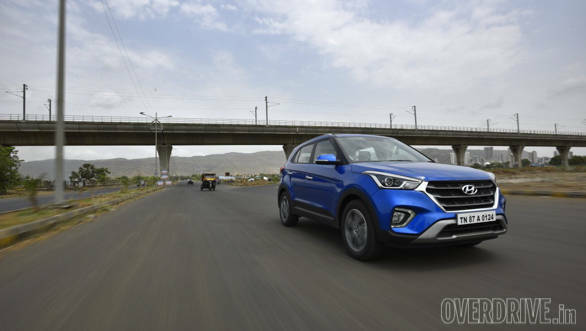 The Creta continues to impress with a supple ride quality, predictive and progressive braking and a steering that is conveniently light for city use. 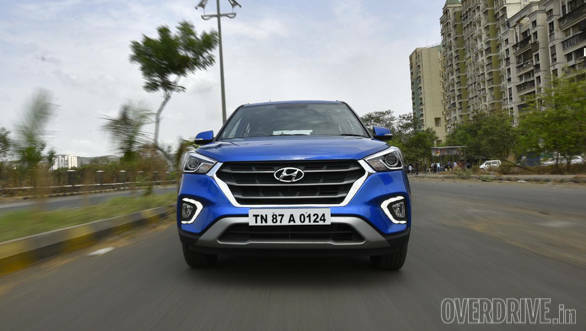 The performance figures, braking distance and fuel economy readings for all the variants remain pretty consistent with the outgoing model and is on par (or better) than segment rivals. The fuel economy claims have mysteriously gone missing on the new brochure though. Anti-lock brakes and frontal airbags are a standard fit on the range topping variant, and the ISOFIX child seat mounts are only available on the automatic variants. If you are serious about safety though, only the top spec SX(O) trim of the Creta makes sense for it gets you the traction control, electronic stability program, hill-start assist and side and curtain airbags to secure the cabin for your entire family.